Closely related to the idea of unity is the concept of emphasis or dominance. Rather than focusing on the various elements of a design fitting together, emphasis is about making a particular feature draw the viewerâ€™s attention. When you design a web page layout, often youâ€™ll identify an item in the content, or the layout itself, that you want to stand out. Perhaps itâ€™s a button for users to press, or an error message for them to read. One method of achieving such emphasis is by making that element into a focal point. A focal point is any element on a page that draws the viewerâ€™s eye, rather than just being part of the page as a whole or blending in with its surroundings. As with unity, there are a few tried-and-true methods of achieving a focal point. Although the constraints of practical web design do not often allow for it, the direct center of a composition is the point at which users look first, and is typically the strongest location for producing emphasis. The further from the center an element is, the less likely it will be noticed first. On the Web, the top-left corner of the page also tends to demand a lot of attention for those of us who read from left to right (remember that many languages, like Hebrew and Arabic, are read from right to left) and scan a page from top to bottom. The idea behind continuance or flow is that when our eyes start moving in one direction, they tend to continue along that path until a more dominant feature comes along. The figure below demonstrates this effect. Even though the bottom splotch is bigger and so tends to catch your eye first, your brain canâ€™t help but go â€œHey, looky there, an arrow!â€� Soon enough, youâ€™ll find yourself staring at the smaller object. Continuance is one of the most common methods that web designers use to unify a layout. By default, the left edge of headings, copy, and images placed on a web page form a vertical line down the left side of a page before any styling is applied. A simple way to make additional use of this concept is to align elements to the lines of your grid. This creates multiple lines of continuance for your visitorsâ€™ eyes to follow down the page. In the same way that proximity helps us create unity in a design, isolation promotes emphasis. An item that stands out from its surroundings will tend to demand attention. Even though heâ€™s sad to be apart from his buddies, the isolated monkey in the image below stands out as a focal point on the page. If thereâ€™s a singular link or button you want your visitors to click on in a page, itâ€™s known as a call to action. When you look at the preceding layout, what first grabs your attention? For me, itâ€™s the â€œSign Upâ€� and â€œDownload nowâ€� buttons. Itâ€™s the only place on the page that uses those bright orange and yellow colors, and the text is much bigger than other elements, such as the search field or â€œSign inâ€� button. 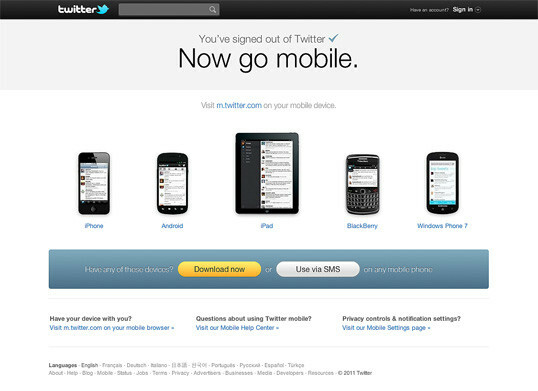 In both cases the call to action elements have plenty of continuance, isolation, and contrast. Twitter really wants you to click those buttons, so itâ€™s creating as much emphasis as possible to ensure its call to action is effective. Another interesting way of creating emphasis in a composition is through the use of proportion. Proportion is a principle of design that has to do with differences in the scale of objects. If we place an object in an environment thatâ€™s of smaller scale than the object itself, that object will appear larger than it does in real life, and vice versa. This difference in proportion draws viewersâ€™ attention to the object, as it seems out of place in that context. 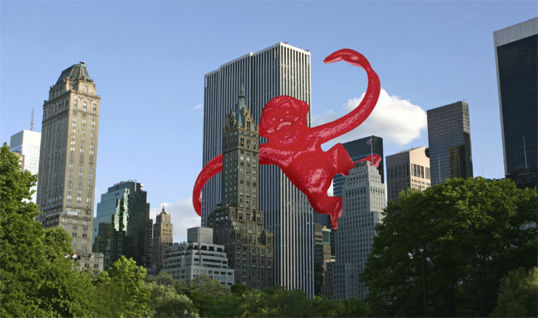 In the image just below, Iâ€™ve taken our sad, isolated monkey and superimposed him over the skyline of Manhattan to prove my point. 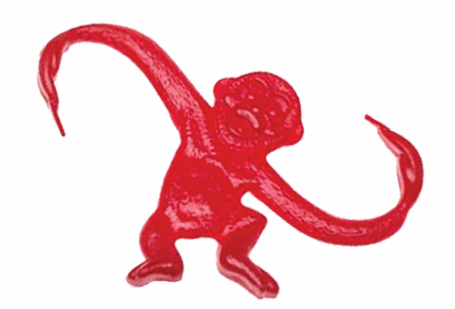 Between the sharp contrast in color and the difference in proportion, your brain immediately says, â€œHey, this isnâ€™t quite right,â€� and youâ€™re left staring at the monkey until you force yourself to look away. This principle works for miniaturization as well. 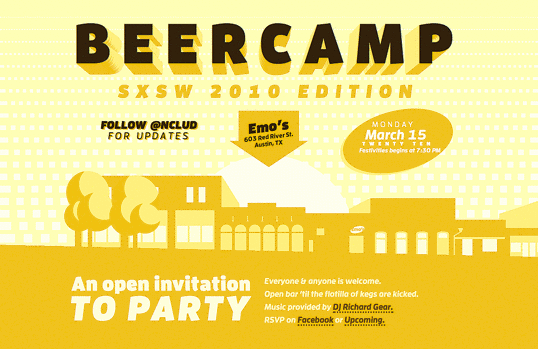 Take a look at the BeerCamp event website (pictured below), designed by David DeSandro. The first element you probably notice is the massive BeerCamp headline. From here, though, my eye jumps straight to the arrow and into the row of buildings. This is due to both continuance and eye-catching use of proportion. For those interested in the possibilities of CSS3, I should point out that no images are used to create what you see here. Creating emphasis in your design isnâ€™t just the key to making your call to action stand out. Itâ€™s also how we move a viewerâ€™s eyes across the page. By giving elements a descending level of emphasis, you can suggest an order for visitors to follow. If you keep this in mind as you build your sites, you can echo the emphasis you create with semantic HTML markup and CSS. For instance, by matching h1 to h6 headline tags with a respective level of visual emphasis, you can provide a similar view of whatâ€™s visually important in the page to search engines and vision-impaired visitors. 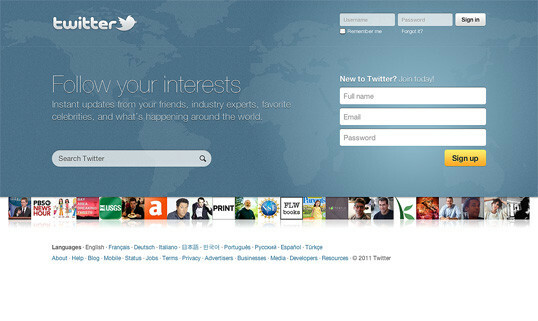 In the next article, weâ€™ll look at some well-tested examples of designs from which you can work. This article is from Jason Beaird’s The Principles of Beautiful Web Design book (the second edition of which is out now). This is the seventh part of the first chapter. The entirety of the color chapter has been digitized, so if color is more (or also) your thing check out the color chapter here on Design Festival. Jason Beaird is a designer and front-end developer with over ten years of experience working on a wide range of award-winning web projects. With a background in graphic design and a passion for web standards, heâ€™s always looking for accessible ways to make the Web a more beautiful place. When heâ€™s not pushing pixels in Photoshop or tinkering with markup, Jason loves sharing his passion for the Web with others.